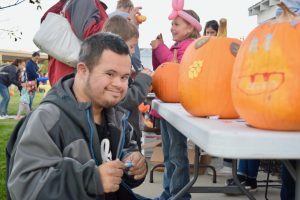 Harvest Festival at Benjamin’s Hope has become a much-anticipated annual event that inspires hope for hundreds of families in West Michigan impacted by disability. The entire community is welcome for this annual family-friendly evening of fun. 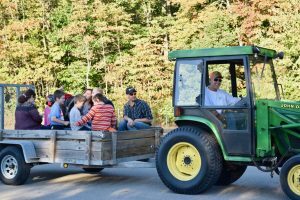 Families will enjoy pony cart rides, hayrides, roasting marshmallows around a campfire, games, and more at the Harvest Festival, 5 to 7 p.m. on Saturday, Sept. 29 at Benjamin’s Hope. 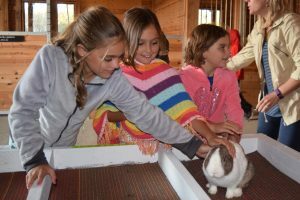 Also on tap will be live music with Left Hand Link and hands-on fun with the animals in the barn. Benjamin’s Hope is a unique inclusive community at 15468 Riley St. on Holland’s north side. It also is an excellent example of how sustainability is enhanced by vital and effective communities. For Benjamin’s Hope founder, Krista Mason, Harvest Festival is the fullest expression of the vision for an inclusive community where all every people are valued and celebrated. Krista and her husband, Dave, understand how hard it can be for parents to imagine what the adult life might look like for a child with autism. Their youngest son, Ben, now 22, is profoundly affected by autism. Today autism affects one in 59 children, according to government statistics. Dave and Krista began to think about his future less in terms of independence and more in terms of interdependence. And the vision was born for Benjamin’s Hope, a “live, work, play, worship” community for people with autism. The non-profit now serves 30 adults in six farm-style semi-independent homes with big front porches and individual apartments. The Church of Ben’s Hope is flourishing, and attended by over 150 people from across the county and beyond every Sunday at 6 p.m. The public is encouraged to attend. The debt-free organization serves as a thriving example of public-private partnership, all of which is celebrated with the community each year at Harvest Festival. Come visit and learn more!  Sara Hogan is director of ministry support at Benjamin’s Hope. To learn more about Benjamin’s Hope and how you can connect, visit www.benjaminshope.net and follow Benjamin’s Hope on Facebook.